For four decades, the Margaret Cuninggim Women’s Center has been an advocate for equity, access and education at Vanderbilt, leading to a more inclusive and equitable environment for women at the university. 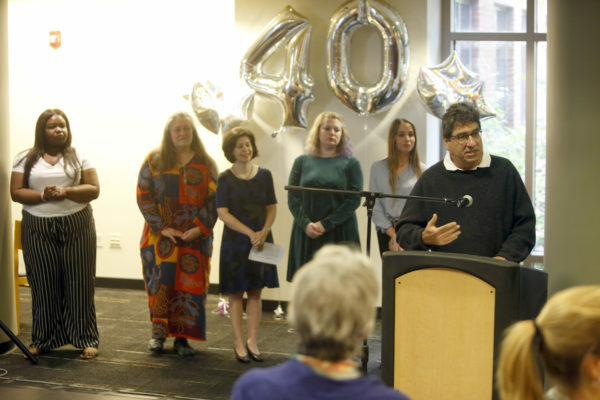 On Nov. 1, the center marked its 40th anniversary with a celebration at the Sarratt Promenade in honor of this significant milestone. The Margaret Cunningim Women’s Center opened in 1978 in the Franklin House on West Side Row, where it still resides today. Among the earliest initiatives of the Women’s Center was a newsletter detailing campus, local and national events pertaining to women. Women’s VU ran in print from 1978 until 2009, when it transitioned to a monthly e-newsletter. Archives of the newsletter are available electronically at the Jean and Alexander Heard Libraries. An advocate for affordable and accessible child care, the Women’s Center was instrumental in establishing on-site child care at Vanderbilt. In 1982, the Women’s Center Advisory Board Task Force on Child Care published a report and set of recommendations for the university. 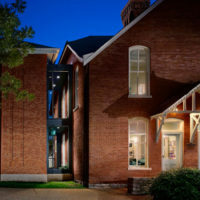 The following year, the university established the Edgehill child care facility, now one of three facilities on campus for Vanderbilt students, faculty and staff parents. 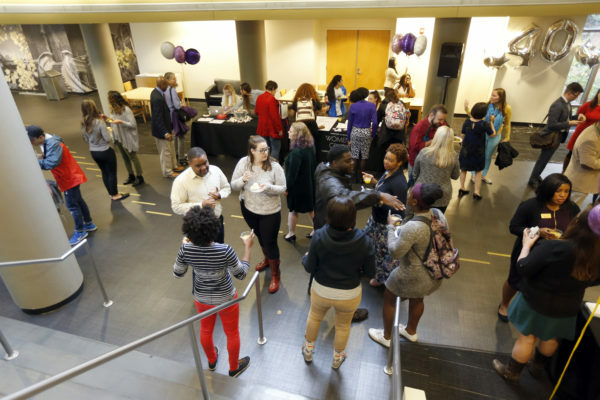 The Women’s Center has long served as a central educational resource for Vanderbilt students, faculty and staff on bystander intervention and sexual misconduct prevention and response. 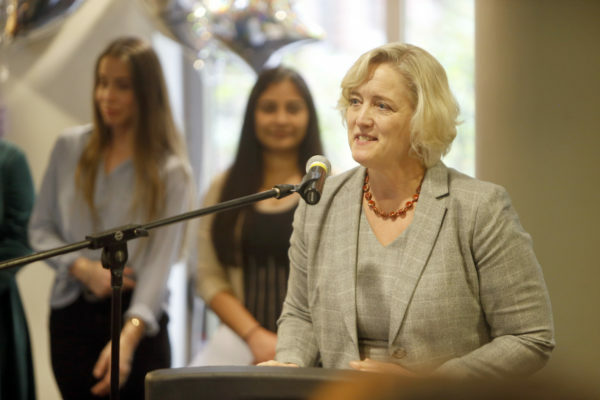 The Project Safe Center for Sexual Misconduct Prevention and Response, established in 2014, initially began as a program in the Women’s Center in 2000. Today, the Project Safe Center continues these efforts by providing information, support and education about sexual and intimate partner violence, consent and healthy relationships. 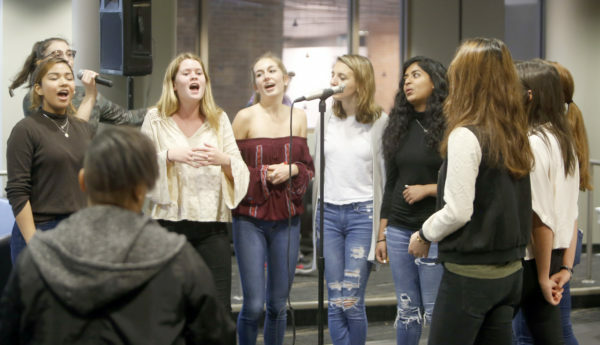 Wente also noted that Vanderbilt is in the process of launching a new initiative on the status of women, speaking to the collaborative process currently underway aimed at fostering a more welcoming and inclusive community and addressing the issues facing the broad array of women across the university. The Women’s Center is named for Margaret Cuninggim, the fourth and final dean of women at Vanderbilt, who served from 1966 to 1973. 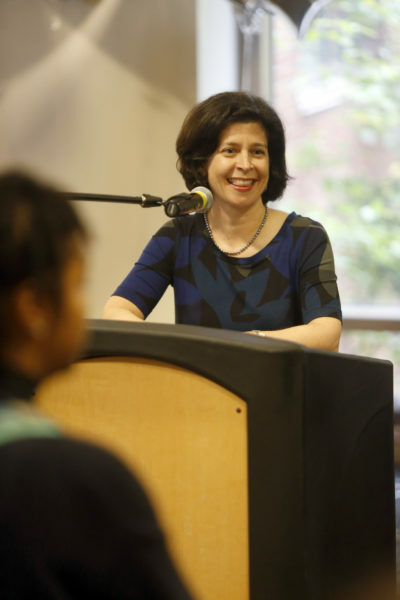 When the university eliminated the positions of dean of men and dean of women following the passage of Title IX of the Education Amendment of 1972, Cuninggim became the first woman to be named dean of student services at Vanderbilt, serving in this role from 1973 to 1976. Cuninggim died in 1986, and two years later the Vanderbilt Board of Trust named the Women’s Center in her honor. 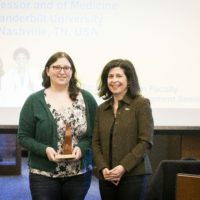 Today the Women’s Center continues to lead many efforts and initiatives at Vanderbilt, including the Women in the Academy series, the annual Cuninggim Lecture on Women in Culture and Society, and the Prevail Women’s Leadership Conference. For more information about the Margaret Cuninggim Women’s Center, visit its website.